Recording videos while you’re traveling is a great way to capture some of the amazing sights, interesting people, and unique aspects of your trip. However, often people find that the videos they record fall short of their expectations, and don’t really look all that good. As a rule, you should increase the frame rate of your video camera to its maximum (i.e. 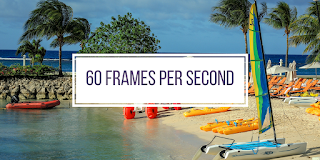 60 frames per second) when recording travel videos. A higher frame rate will produce smooth and clear video footage, even when there is a lot of movement in the frame – as is often the case in travel footage. Just keep in mind that a higher frame rate will result in larger video file sizes, and take steps if necessary to ensure you don’t run out of storage space.